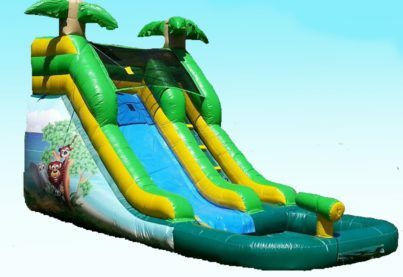 12 Foot Tropical Waterslide, this will make a great addition to any Toddler Party or event. This is a Toddler Only Unit! For ages 7 and under.